The Muvo 2 is a portable Bluetooth speaker with a small footprint and a big voice. The audio is resonant and so powerful it can be used in a den or living room without a hint of anemia. It occupies so little space it can also comfortably fit in a small office for listening at reduced volumes. 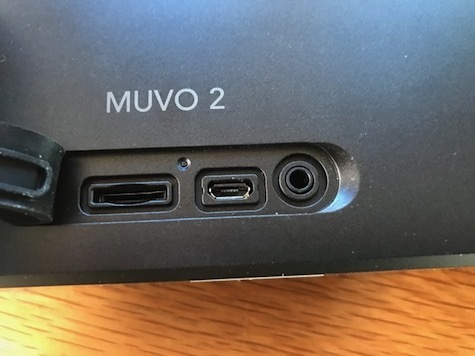 In addition to all the standard features, a micro USB port for charging and an audio out port, the Muvo 2 includes a micro SD card reader slot (card not included). It will accommodate a card up to 128 GB. When the battery is fully charged, this micro SD feature means you don’t have to connect or pair to your iPhone or any other device to the speaker. Just load some music onto the card from your computer, then insert the card in the micro SD slot on the speaker and power it on. 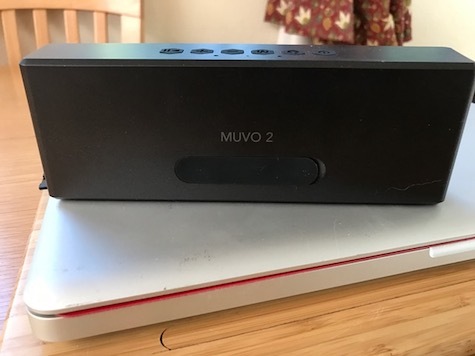 Roughly seven inches wide and less than two inches deep, Muvo 2 is small enough to take to the beach or carry on a camping trip. The BT battery is rated for up to ten hours playing before you’ll need to recharge it. The speaker has a water-resistant skin as well as a built-in mic, which means you can answer calls and talk hands free. Spoken audio is loud and clear. 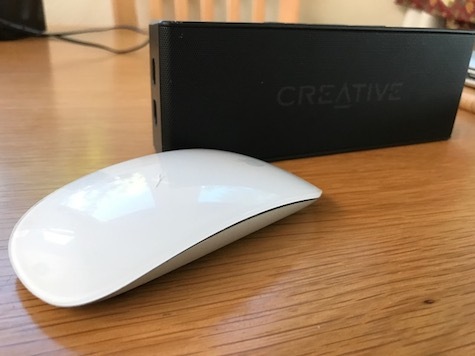 Music comes through with depth if not a great deal of refinement, but overall the Muvo 2 is an excellent value, as are most products from Creative Labs. There are only two drawbacks in this product. First, the symbols on the buttons are all the same color as the speaker exterior: black on black in the one I used (also available in gray, red and blue). That makes them hard to see. Second, the instructions are a confusing bunch of graphics that look like plans for a model airplane. They could be clearer and more text would assist.